The bugs are temperamental and may not effect every player in the same way. Please make bug reports on the Rift Forums. You may get a better quest description if you link the quest in chat and then click the link. Put the quest on your quest sticky tracker (dot in top right of quest) and then open the chat and shift click the quest to link it in chat. Weekly – All Warfronts 5xwin, completes after just one win. Daily – 5 MoM or HK Instant Adventures – This should just say ‘Intrepid IA’ as it doesn’t matter which you do. How long is Season One? Season One will last at least a couple of months. This will give you plenty of time to earn the 300k BPXP needed to complete all 30 levels. If the Battle Pass lasts 60 days then you will need to earn at least 5k BPXP each day or 35K each week. Obviously completing some weeklies as well will boost your earnings and make it easier for you. How do I see my quests? Open up the Battle Pass UI to see your daily and weekly quests. You can track your quests in your quest stickies by clicking the little dot in the top right of the quest box. The Quests are completely separate to your normal quest UI, you do not have to go an NPC to pick them up, they will just appear in your Battle Pass UI each day/week. Handing in dailies does not effect your normal daily quest hand in limit. Daily quests will reset every day at 4am Server Time – All current quests, even those in progress will disappear and new quests will be given. If you are logged in during daily reset you may need to relog to see your new quests. Weekly quests will reset every week at 4am Server Time on a Wednesday with same rules as the daily. When you have completed a quest you will see the little ‘completed quest’ icon in your alert tray. You can click this to open up the battle pass UI and claim your XP. Your completed quest will now have a little loot bag. Click this to collect your BPXP. Do we all have the same quests? Quests are distributed completely randomly. Different players will have different quests. This is intended to give players variety and to ensure that people are not all farming the same thing at the same time. How many different quests are there? There are a lot of different quests available. Objectives will be massively varied, involving every aspect of the game, including; Dungeons, Raids, Zone Events, Rift Closing, Instant Adventures, Minion Missions, PVP, Rare Killing, Artifact Hunting and more. Will we have to complete every quest? This is an average of 5k per day or 35k per week over the two months. Weeklies give between 8k and 10k. Dailies give between 1k and 3k. Patrons will have 6 dailies to choose from, Non-Patrons get 4. All Players will have 3 weeklies. It is up to you to do your math and work out how much BPXP you want to target for each day. But you definitely do not have to do every single quest to get to level 30! If you want to completely skip all PVP content, or even all group content then you ‘should’ be able to do so, unless you get very unlucky with your dailies/weeklies. So far we have seen a good enough mix of group/solo quests to be able to make the 35k XP each week without doing group content. However doing some of the PVP/group quests will help you a lot, even some of the dungeon quests are for low level dungeons and easily soloable. XP boosts, such as those from Patron, Loyalty and Vials DO NOT increase your BPXP earned. Below you will see a huge list of quest examples. There are (according to expert datamining from Clowd) 57 dailies and 25 weeklies in the mix (these may be added to as the battle pass runs its course). I am not able to get screenshots of all of them! This list is instead a way for you to see the TYPES of quests that will be on offer. You will be given a random selection of quests from the list each day/week. Currently there is no way to re-roll the quests that are given (this is being thought about for future seasons). Some of the quests will require you to mentor down to the correct level so the content would grant XP. If this is required then the quests will CLEARLY state that the content needs to grant experience. If the quest does not state that it requires experience then you can stay at your current level. This means that a lot of the old dungeon quests can be done solo by level 70s. For the raid quests that require XP, only the players on the quest need to mentor, other players can join in and help out and stay at level 70, this will help make the raid much smoother! You can find a guide to mentoring here. Dungeon quests will generally ask you to complete a specific dungeon, or to complete a random dungeon using the LFG system, or to kill a specific boss in a specific way. Be sure to check if the quest requires Standard or Expert mode, you can change the mode by right clicking your portrait and selecting Dungeon difficulty. You need to be the group leader to do this. You do NOT need to mentor down unless the quest specifies that you need to get XP from the kill. You can find a full list of Dungeon entrances here. Cortilnald – The second boss in Fall of Lantern Hook. This dungeon is easy to solo at level 70. It needs to be Expert mode to count! Ballroom Dancing – This quests can only be done in the NIghtmare Tide expert version of Gyel Fortress (The Intrepid level 70 version will not work). On the last boss, be sure not to get hit by any of the bad stuff. It is helpful to bring a friend along to agro the boss and keep her away from you so you don’t get hit by the big red bubble. Staying out of the fight (on the elevator or on the bridges) will mean you don’t get credit, you need to be on the circular platform with the boss. Finding Krass – This is a reference to the Krasstastrophe puzzle found in the Nightmare Coast Expert Dungeon. The point of the puzzle is to pull all 4 levers and have someone stand on top of each platform. Note that with a full group of 5 people you can have 4 peeps on the levers and pull them all at once so the jumper just jumps from one platform to the next! You need at least 2 people to do the quest as the platforms will only be there while the lever is being pulled. When each of the platforms has been stood on you then pull the lever at the top to stop the waves and go out the cave to loot the chest. If the lever at the top doesn’t appear then you have likely missed a platform. Temple of Ananke – standard and expert mode, Make sure you WAIT after the last boss for the roleplay to finish so your quest is credited properly. Chronicles can be run every day and can all be soloed at level 70. When doing chronicles make sure you are hunting for artifacts and use your quantum/omen sight to get the twisted ones too, a lot of these artifacts are still quite rare and may be worth a lot on the Auction House! Infernal Dawn Laethys – Players who kill this boss too quickly will bug out the boss and break the instance – Kill it slow and allow it to phase to second form at around 25% health. Raid dailies are for the LFR raids that are repeatable during the week. PVP quests will have you winning a certain warfront, killing a certain amount of enemies or completing warfront objectives. Black Garden: Hunter – For this one, you dont have to get the killing blow on a fang carrier (like you do for the similar cheevo) but the fang carrier does have to die from enemy damage rather than the ticking damage from the fang. Make sure you put lots of bleeds on the fang carrier and save your big hitting abilities for when they are at low health. Zone event dailies are usually to complete a zone event in a specific zone. Remember you can use YARET to track zone events! You need to actively participate in each zone event.. close a rift, defeat invasions, help kill the boss or pick up an artifact. You need to stay in the zone til the event finishes to get credit. Unstable events DO count towards these! You can tag an unstable event by picking up an unstable artifact (blue) or by catching an unstable artifact thief (with a net made by dreamweavers). Leviathan Hunter – This event only pops on Tyrants Throne. You will need a group of people stood in the zone to make the event pop. This used to be 20 people, but was reduced on 17th April 2019. I don’t yet know how many people are now required to pop the event. Zone Event lures – For a lot of the zones you can buy zone event lures (credits only at the moment), these can be used to pop a zone event in specific zones, though you will still need to meet population requirements. You can buy the zone event lures in the rift store under Rifts > Zone events. You can also ask in chat for peeps to use lures they already own. Has changed to one event and you need to participate and stay in the zone. 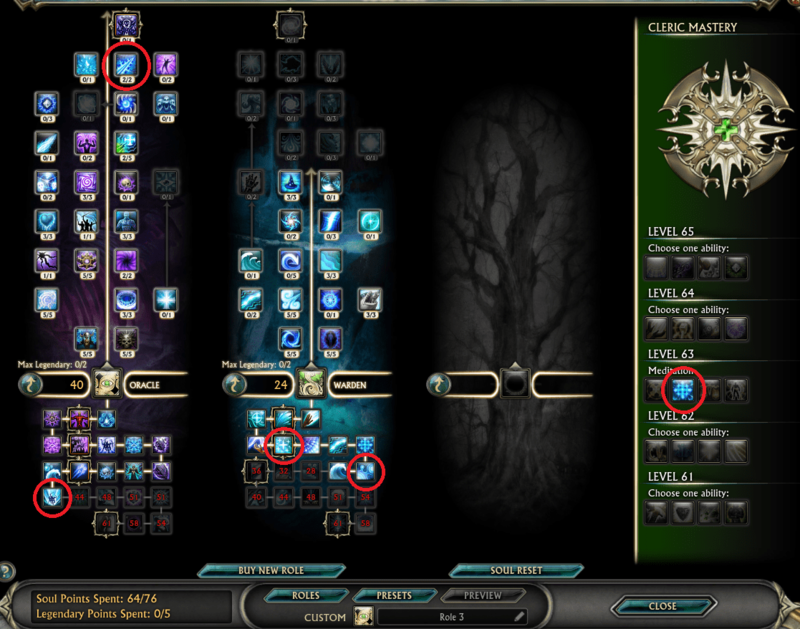 All the Rift Closing Quests require you to be mentored to the correct level for the rift. Rift Closing – To credit the rift closing quests you do not have to get to the final stages of the rifts, you can just get to the first timer stage (generally stage 3) and then let it time out before you then close it. Rift Closing in lower zones – You can kill the first few stages of the rift at level 70 and then just mentor down for the final stage. However be aware other peeps may be closing too, make sure you allow everyone to tag before closing it fully. Instant adventure dailies will ask you to complete a small number of specific IA or a larger number of any IA. Open world dailies involve a selection of different tasks, including; killing certain mobs, killing rare mobs, closing rifts and harvesting artifacts. Kill Rare Mobs – There are so many rare mobs to choose from! You can have a look at the Rare Mob Guides to find them. The rare Mobs in VP do count! Artifact Hunting – You can use patrons artifact vial to do this quickly. Or you can use the Opie mount for the artifact tracking abilities. If you have neither of these then Iron Pine Peak is a nice zone to hunt in, use Omen/Quantum sight to track twisted artifacts too, the artifacts show up really well against the snow. Make sure to choose a quiet shard/area to hunt in! Play Manugo – Go to one of the NIghtmare Tide Ghar Stations and play manugo on the machines! You can find a guide to Manugo here. You can complete these quests using any of the minion mission decks, from the 1min deck to the 4hour deck. Claiming a minion mission that was already running when you got the daily will work too, as long as it matches the requirements. A selection of ‘other’ things to do! Healing Spells – It will be much quicker to do this quest on a cleric. (You will get around 100 heals a minute). Remember you can use an alt on any shard. A Cleric (over level 8) has the ability ‘Healing Flood’ which ticks nicely to give lots of heals. 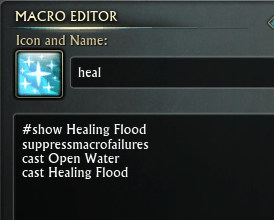 Put 24 points in Warden to give you ‘Open Water’ and ‘Healing Flood’. Team it with 40 points in Oracle to get ‘Marshaled Favor’ for 5% reduced ability cost and ‘Vital Swiftness’ which will reduce your global cooldown and reduce mana costs. Also add the level 63 Mastery of ‘Meditation’. Use this macro on a cleric. Click pic to make it bigger! Be sure to check if the quest require Normal or Expert mode, you can change the mode by right clicking your portrait and selecting Dungeon difficulty. You need to be the group leader to do this. A lot of players have been looking forward to a reason to run the old legacy raids again.. well here it is! You can find a full list of Raid Entrances here. Kill bosses that grant XP – in a raid, you can have level 70s clear the content, only the people who need the quest need to mentor down. Finding Krass – This is done in the BoB Laethys raid, entrance in the Runic Athenaeum, Moonshade Highlands. This is a level 60 Storm Legion T3 raid. It is still very difficult to solo, and to get Krass’s Treasure you will need more DPS than usual anyway. Recommend you take at least 5 players, but the more the merrier! When you enter the instance, go to the left down the slope and kill the mini boss Mallaven (simply DPS him down while avoiding any red on the floor). Then back up the slope near the entrance portal you will find Krass with his treasure chest. Click the chest to activate the fight, Krass will walk towards the chest and then become attackable, kill him quickly! At 1% he will become friendly again and walk away, allowing you to loot the chest and complete your quest. It took our group of 7 players 11 seconds to get him to 1%. You need to do it within 15 seconds for this to work. If you are too slow then Krass will take the chest away and you will have to try again with an alt. Win a certain number of matches of the stated warfronts or kill a number of players. Remember you have all week to do this and some of your dailies will be for PVP too, so it’s best not to rush these out on the first day. A variety of activities in the open world. P/B/N Artifacts are found in Stonefield, Gloamwood and Planetouched Wilds. When you loot normal artifacts in these zones you have a chance to gain the poison artifact sight (15mins).. looting poison artifacts gives you a chance for the burning sight (10mins).. looting burning artifacts gives you a chance for the nightmare sight (5mins). While you have the sight buffs active you will take ticking damage, so make sure you have some self heals in your spec. You can use Patrons Artifact Tracking Vial to track all these artifacts on the mini map, or you can use the OPIE mount to track a specific type of artifact.